Edmonton’s largest food drive of the year will soon be upon us, and Edmonton’s Food Bank needs the community’s help. Volunteers are needed to help collect food and funds at the Servus Heritage Festival Aug. 5 to 7 in Hawrelak Park. They are particularly looking for people who can do shifts on Sunday and also Monday evening. The Food Bank’s mission is to feed those in need in Edmonton. Contact Edmonton’s Food Bank at 780-425- 2133 or email giving@edmontonsfoodbank.com to sign up. The Servus Heritage Festival Food Drive is the single largest food and fundraiser of the year for Edmonton’s Food Bank. This food drive comes at a crucial time of year when food stocks are running low because of fewer food donations during the summer months. 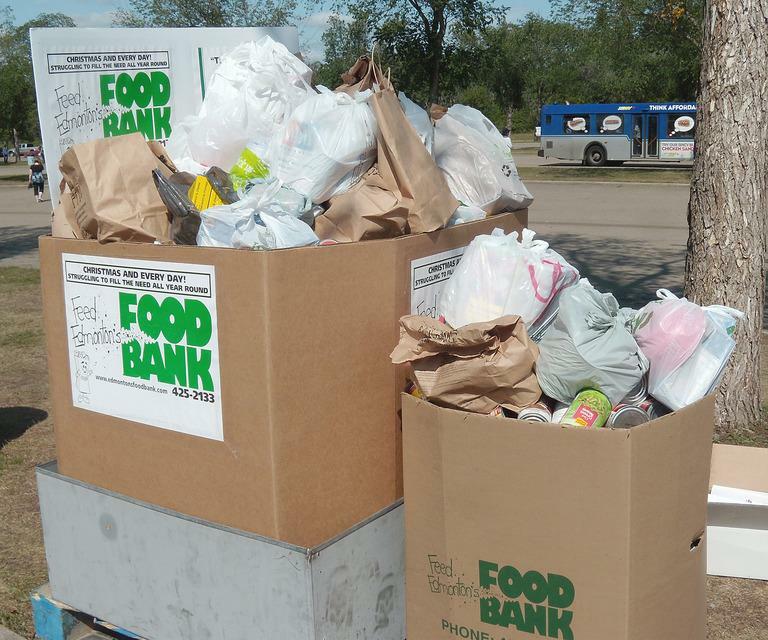 In 2016, the Servus Heritage Festival Food Drive raised 42,336 kilograms food, $52,889.50 in monetary donations, and $26,700 in unused food tickets to help Edmonton’s Food Bank make it through the fall months, including back to school.